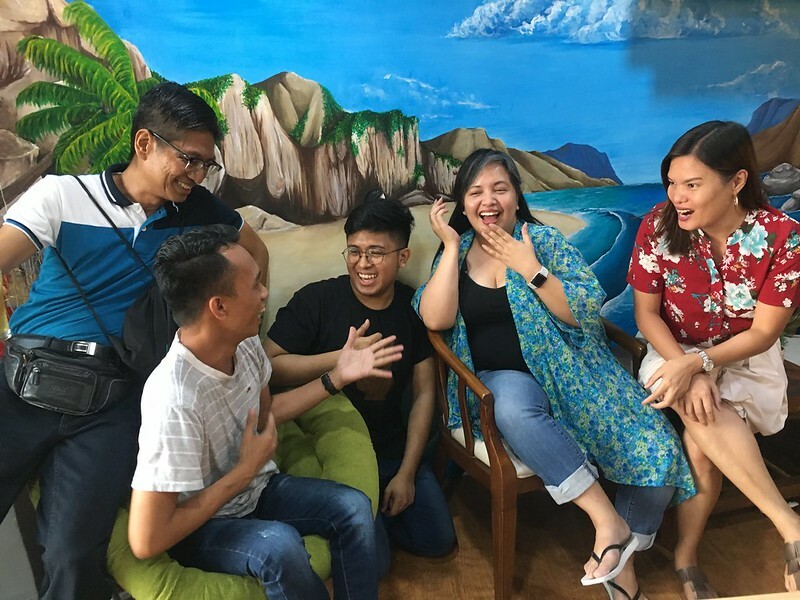 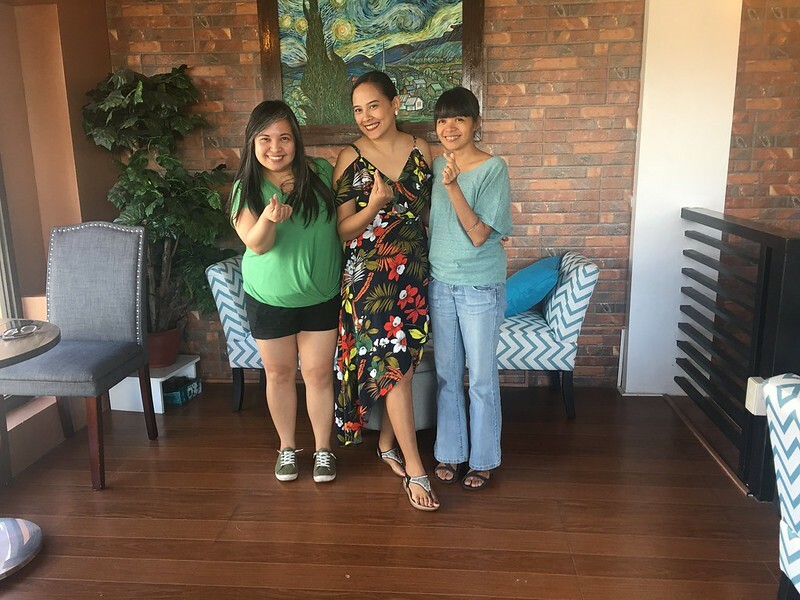 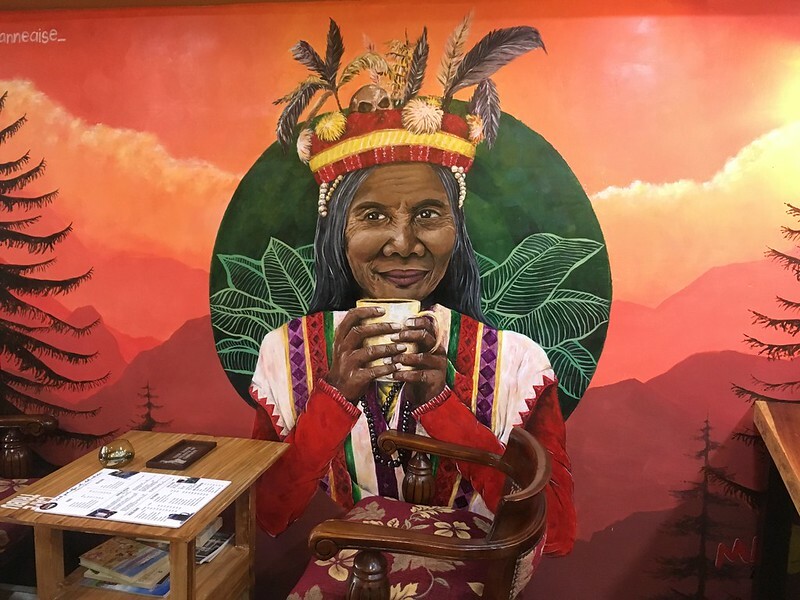 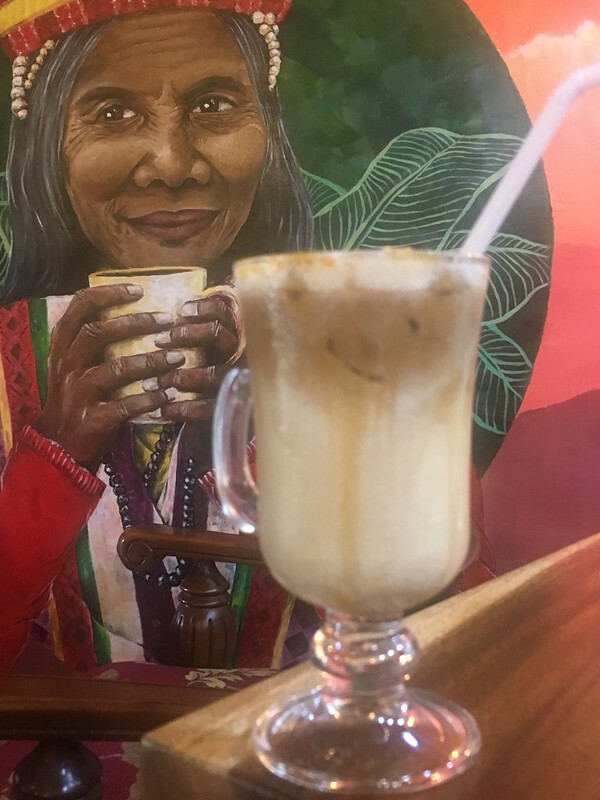 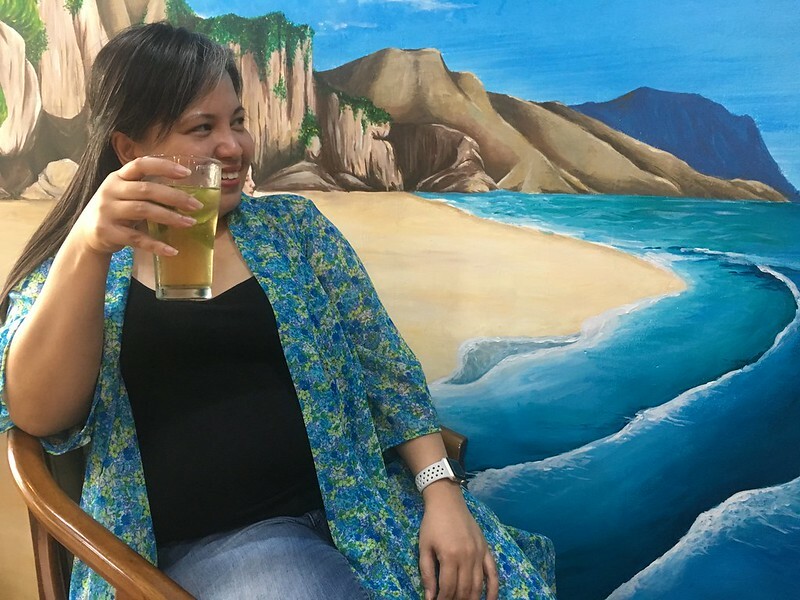 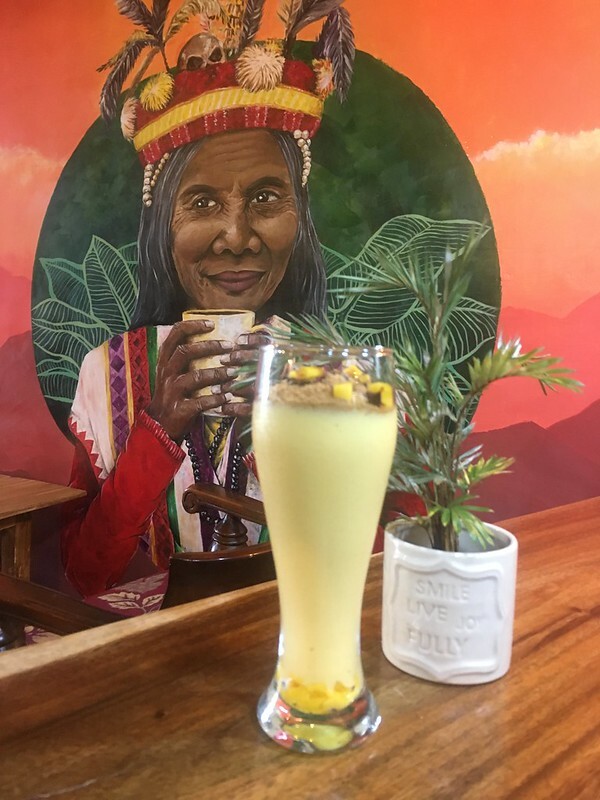 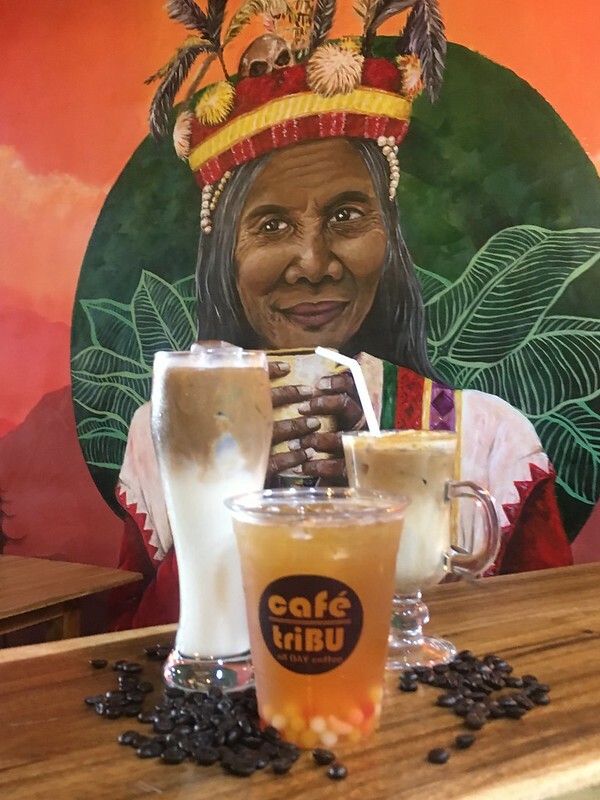 When OFW, nurse and new mother Krishna Torres – Pagarugan returned home to the Philippines to raise her daughter, she decided to become a franchisee of Cafe Tribu, a coffee shop specializing in Philippine-grown coffee beans. 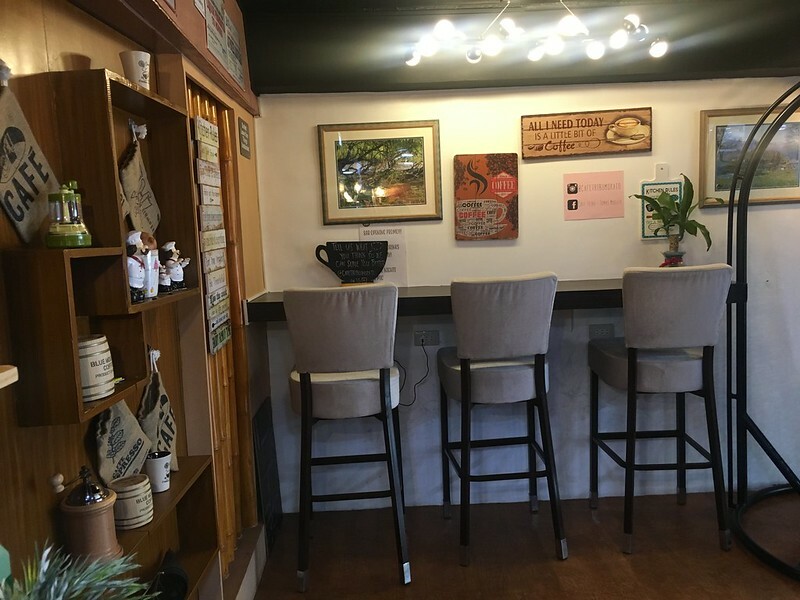 However, her coffee shop soon turned into a family affair. 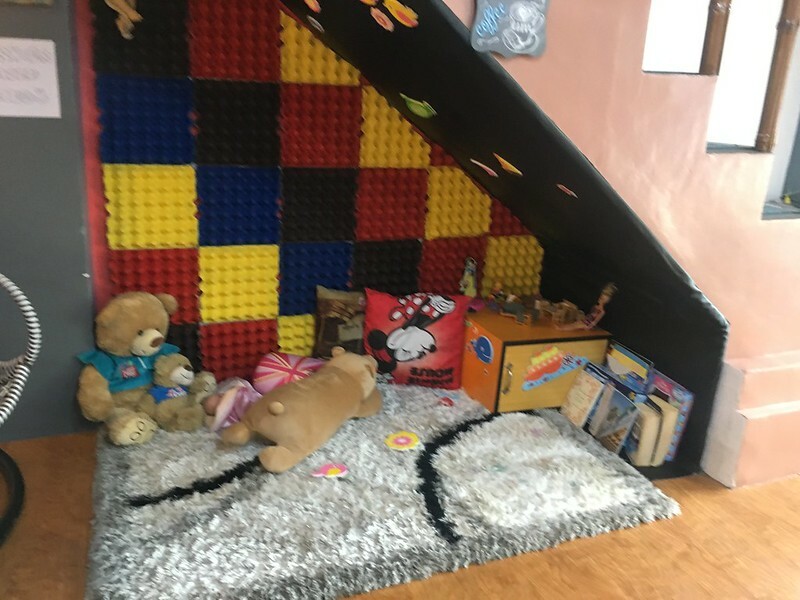 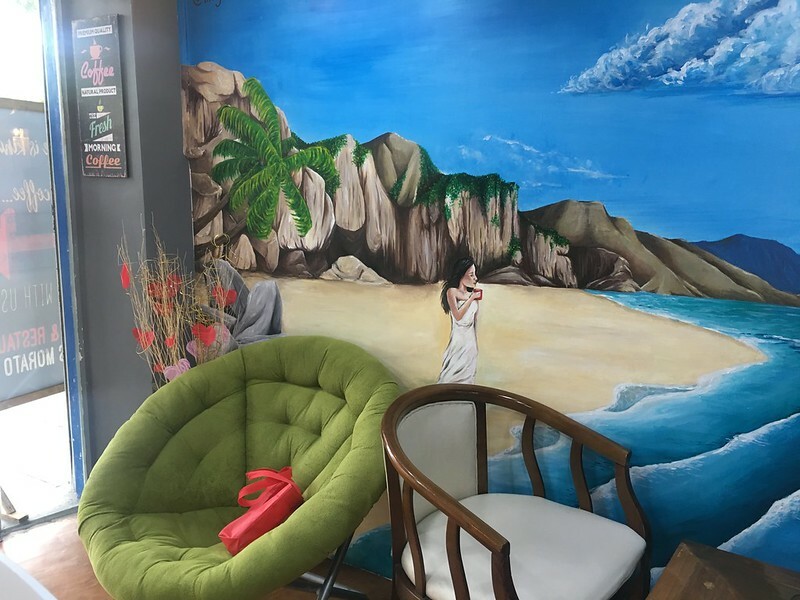 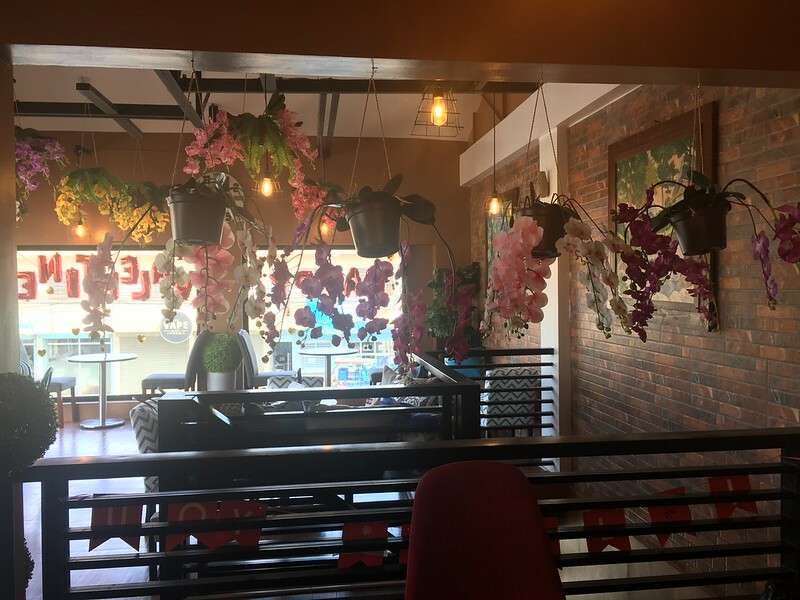 Her sister and business partner Kathleen Torres-Bell turned their premises – formerly occupied by a beauty salon – into a bright and cheery haven for relaxing and conversing with friends. 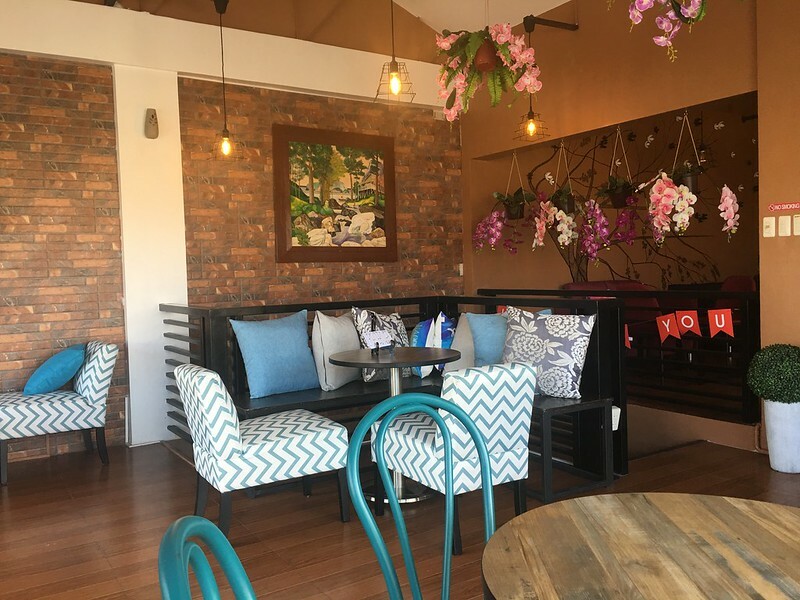 A colorful array of furniture and decor are mixed and matched into an eclectic yet tasteful combination: from the flowers and wire lamps hanging from the ceilings, her father’s paintings and mural taking pride of place on the walls, to the various chairs, tables and throw pillows that make one’s stay here quite comfy indeed. 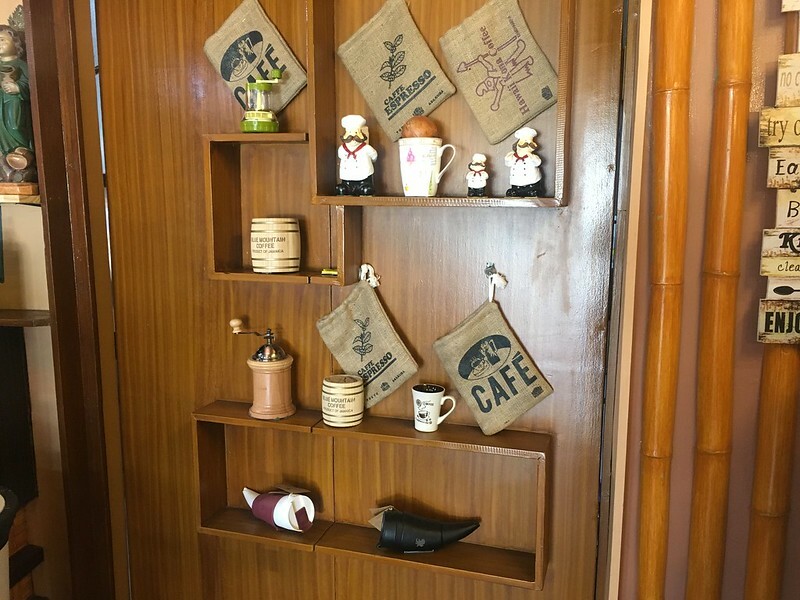 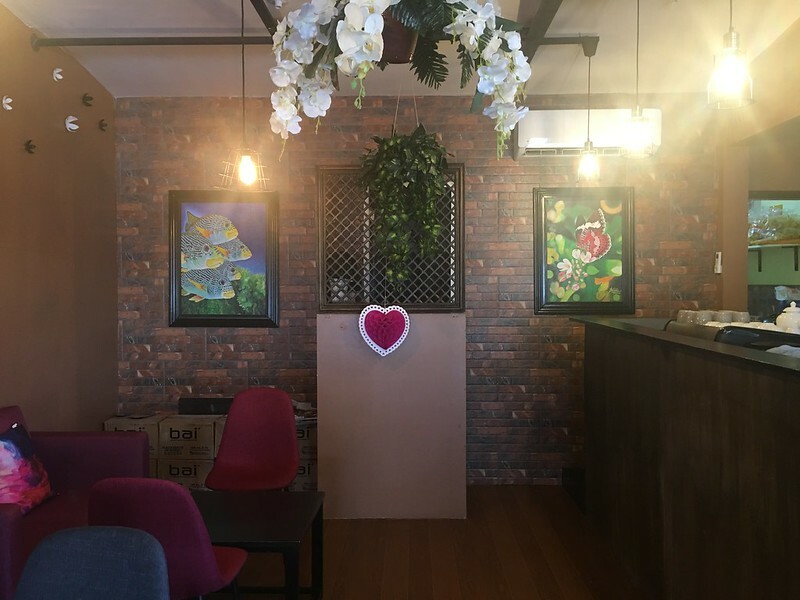 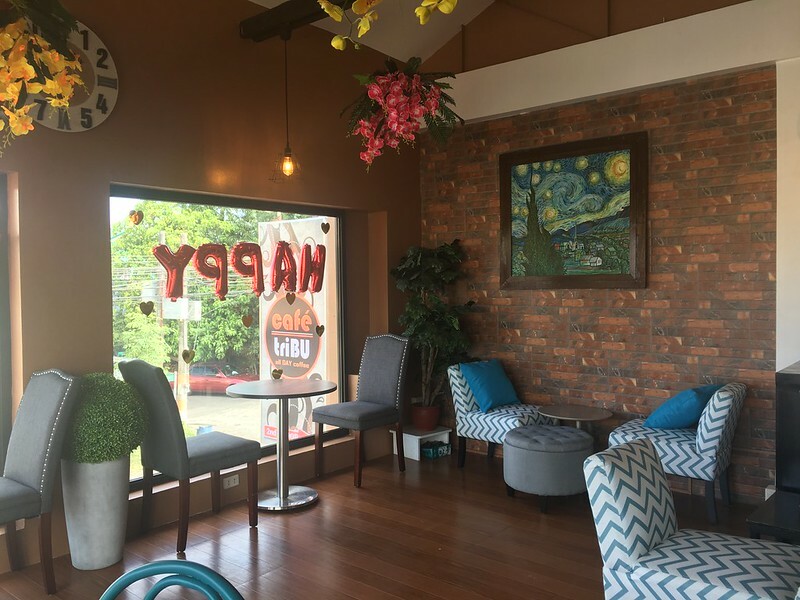 The cafe’s sprawling premises can accommodate up to fifty people for a party or office function, but can also serve as a cozy venue for an informal art exhibit or crafting workshop. 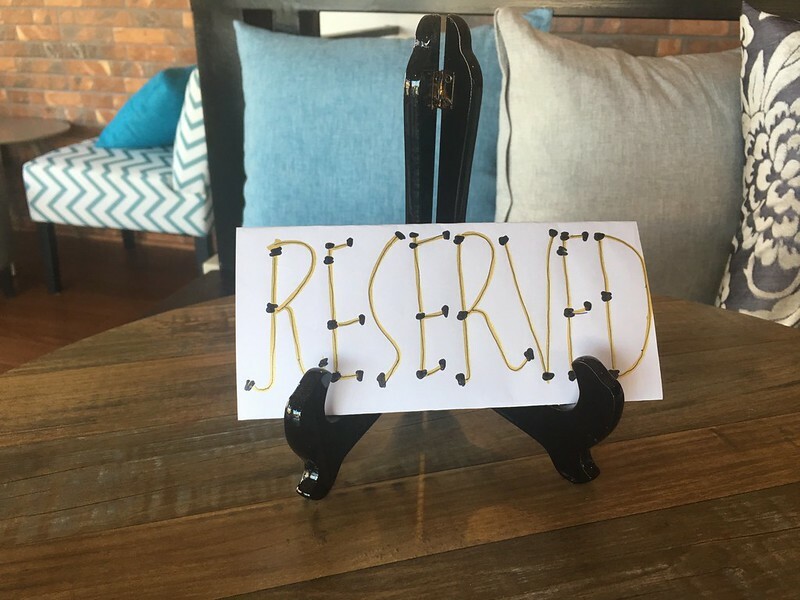 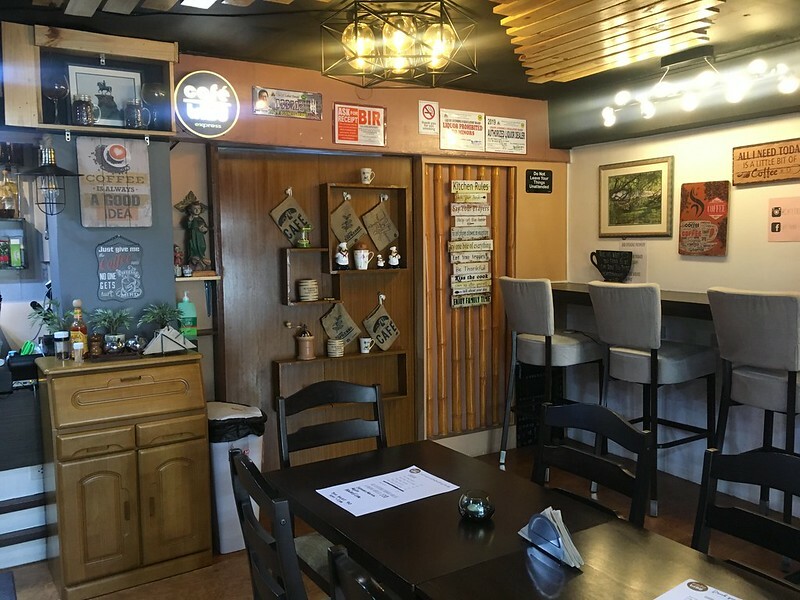 A wide spectrum of diners comfortably pass their time in this space – from local businessmen taking a break from their morning walk, to students of nearby schools and colleges meeting up with friends. 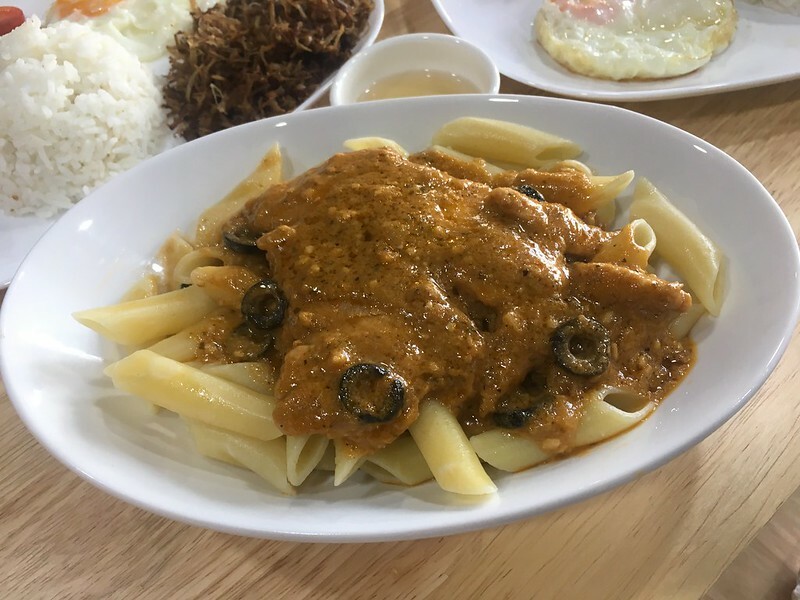 Kare Kare (Php420). 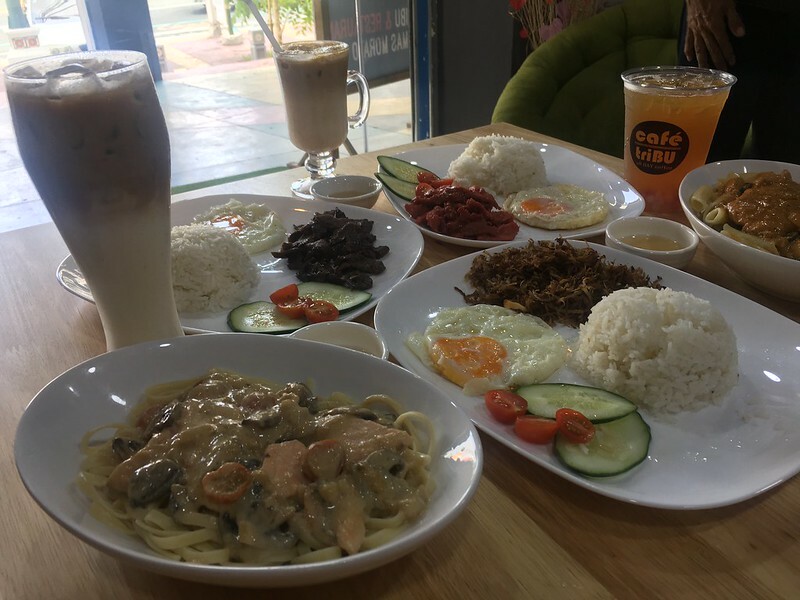 To be honest, I’m still loyal to my mom’s Kare Kare in terms of flavor and mouthfeel but this does come close. 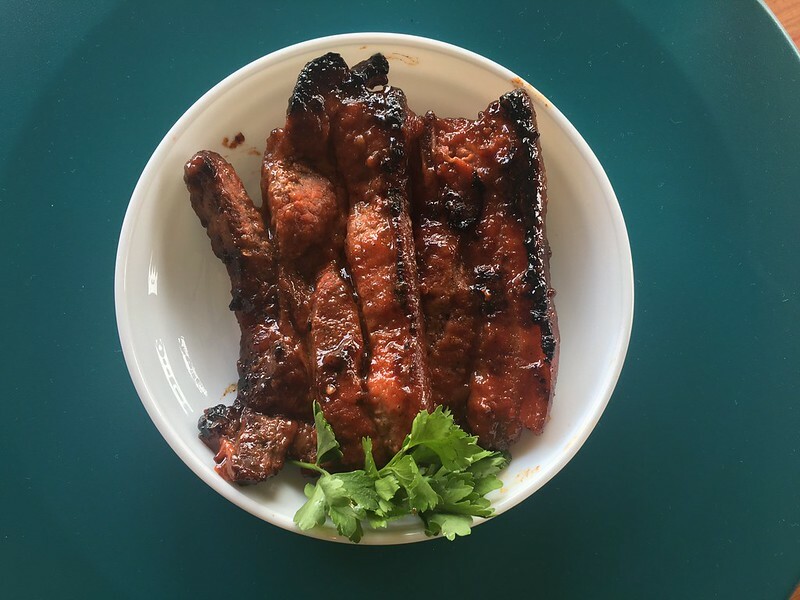 The meat, slow-cooked for hours, is tender and can be easily pulled apart by my fork. 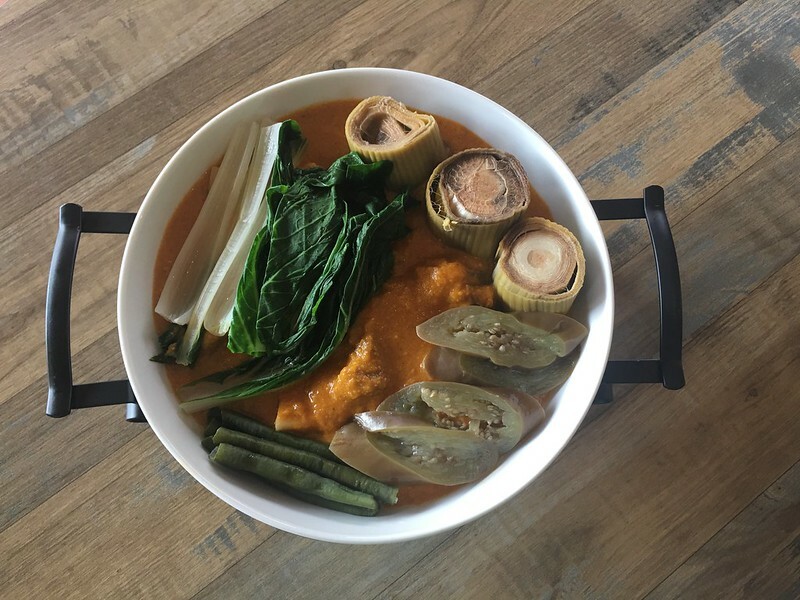 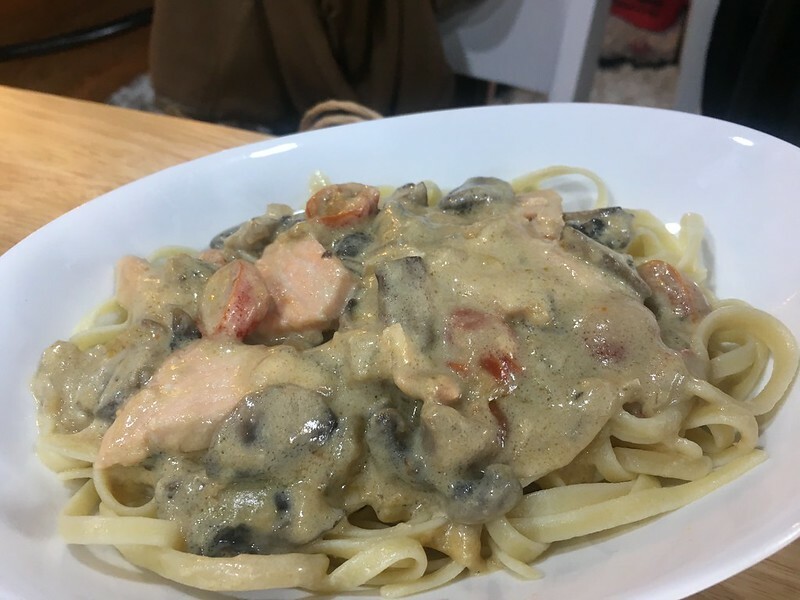 Together with crisp, lightly cooked vegetables, it is submerged in a thick peanut sauce. 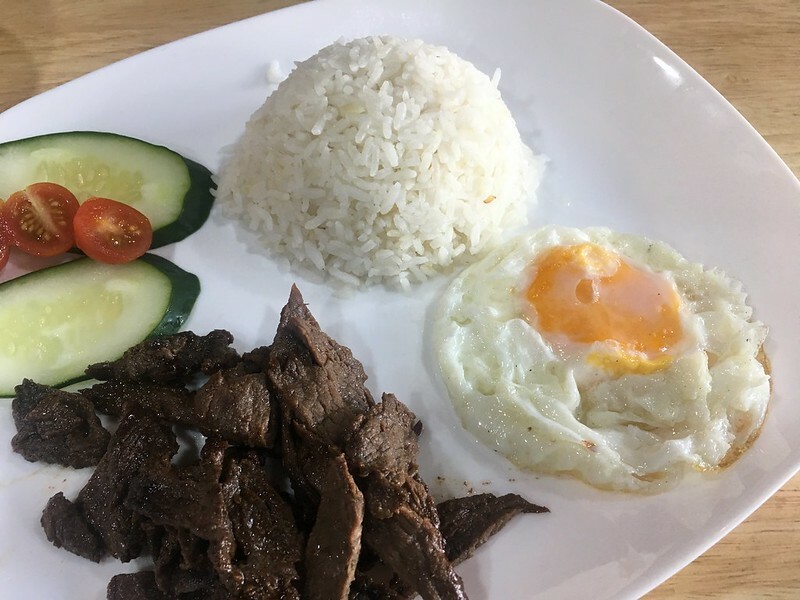 When eaten together with rice and the cafe’s slightly spicy homemade bagoong (shrimp paste), each mouthfull is an explosion of flavor. 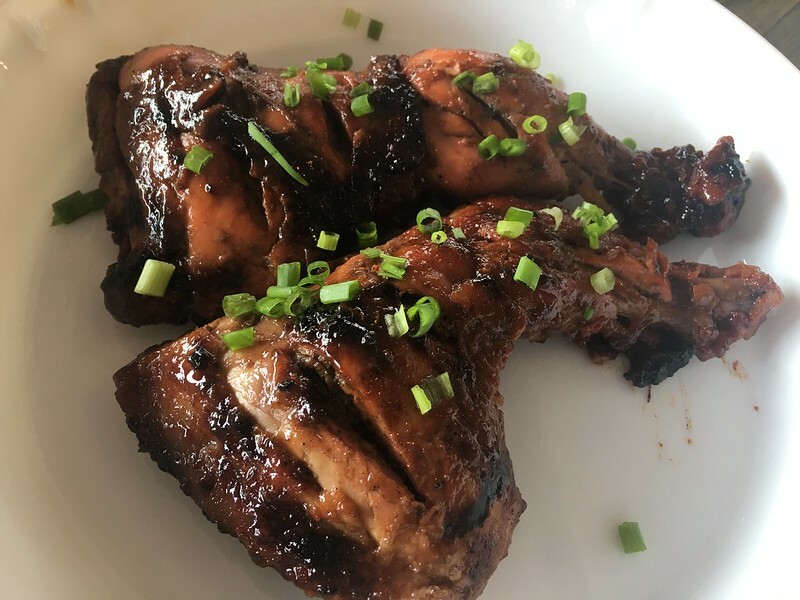 Chicken Barbecue (Php350) and Liempo Barbecue. 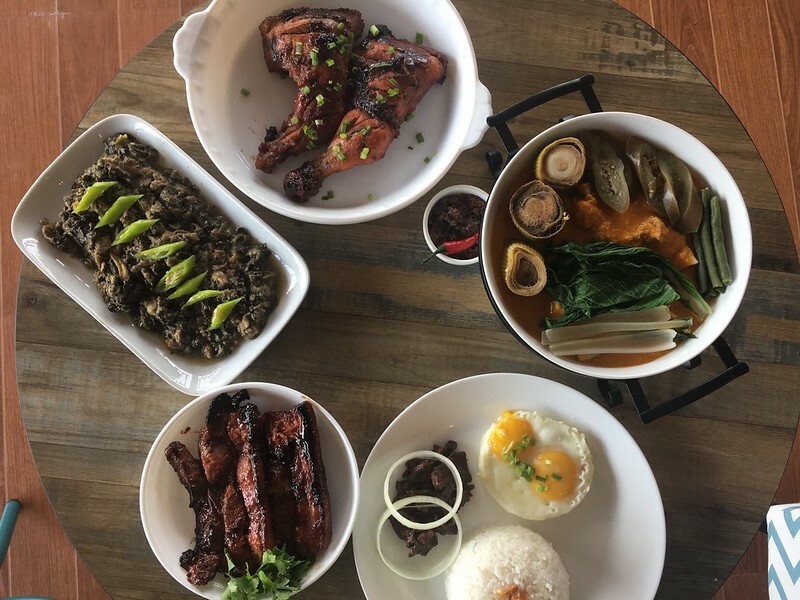 Another set of Pinoy classic dishes, these are comprised of large pieces of chicken and pork belly marinated in a sweet barbecue sauce and grilled to tender and juicy perfection. 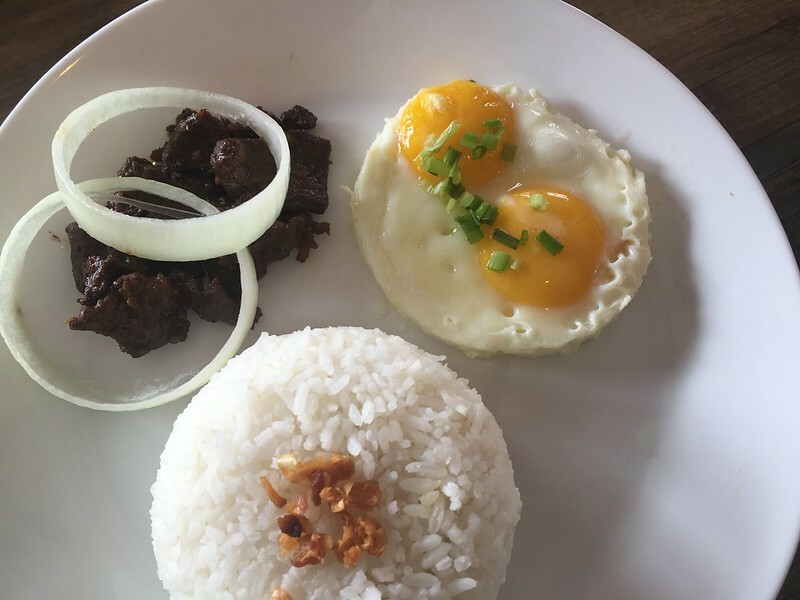 Beef Tapa (Php130). 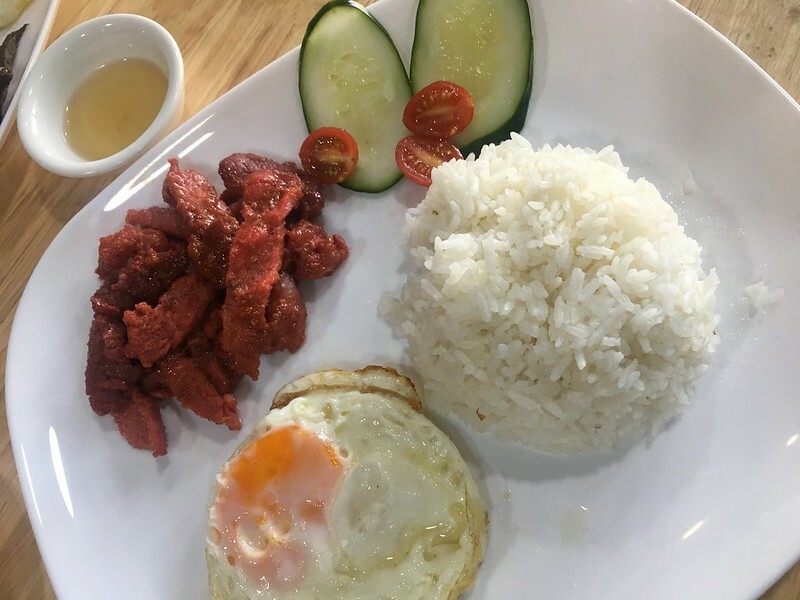 Why, oh why, do strips of tender fried marinated beef become irresistible when accompanied by fried egg (sunny-side up, please!) 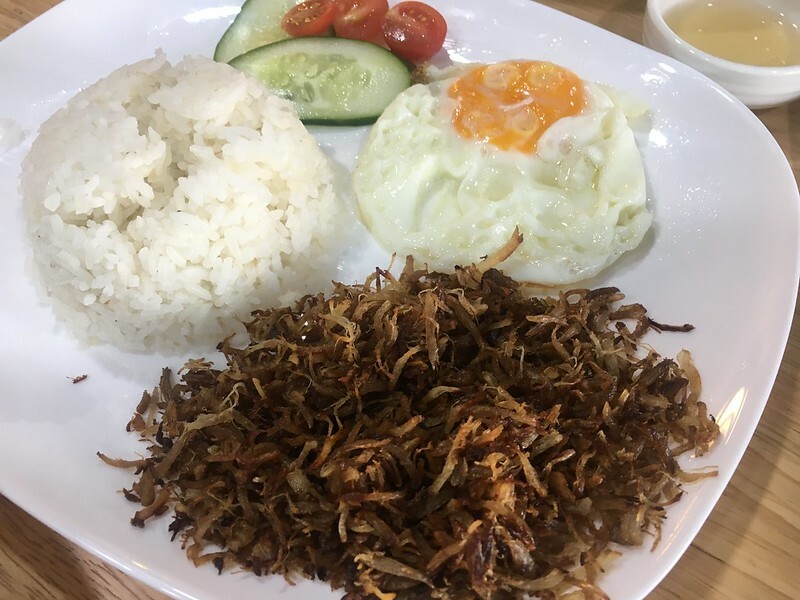 and garlic fried rice? 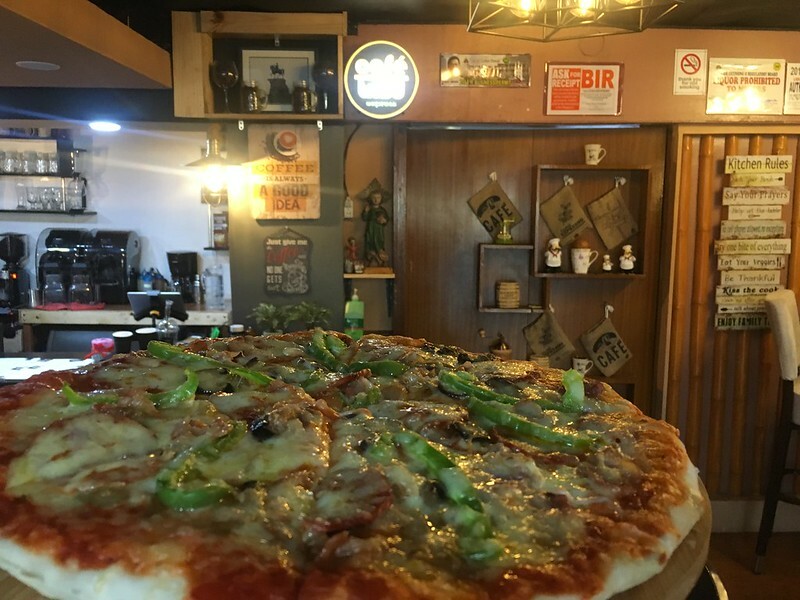 New York Hotdog (Php115). 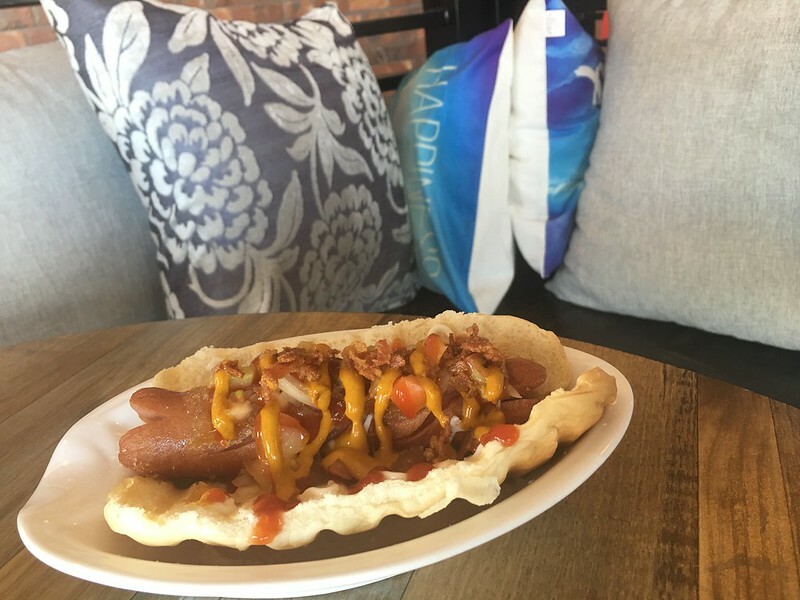 A hefty Frankfurter rolled in oil, topped with caramelized onions, salsa, spicy mustard, mayonnaise, ketchup and bacon bits. 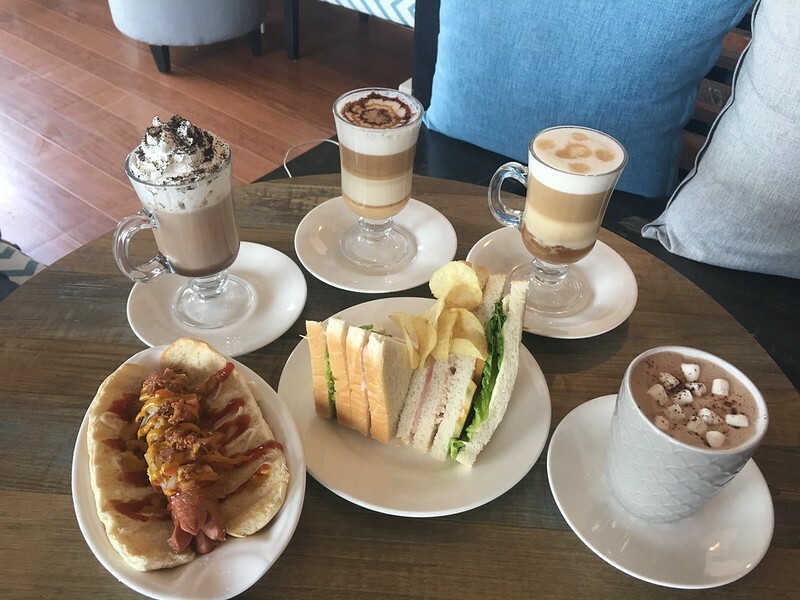 Club House Sandwich (Php100). 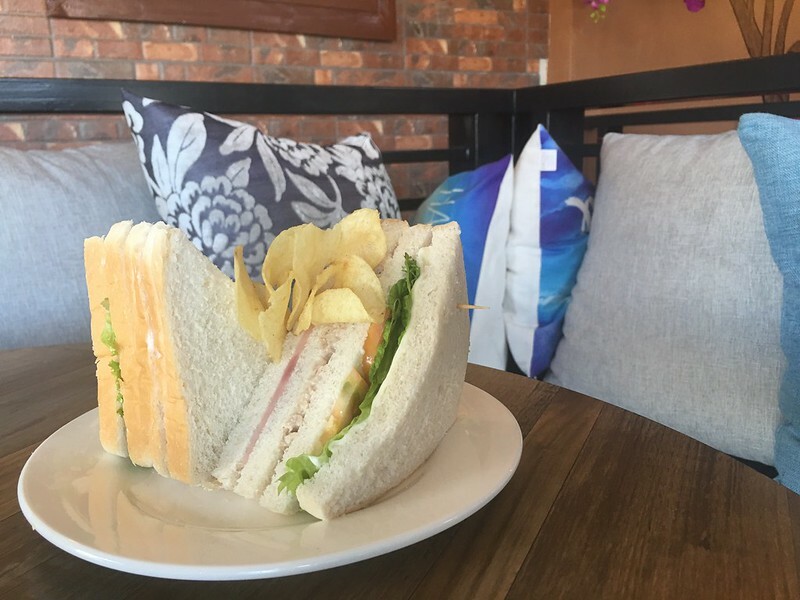 This double-decked sandwich has layers of ham, tuna and veggies, served with crisp potato chips. 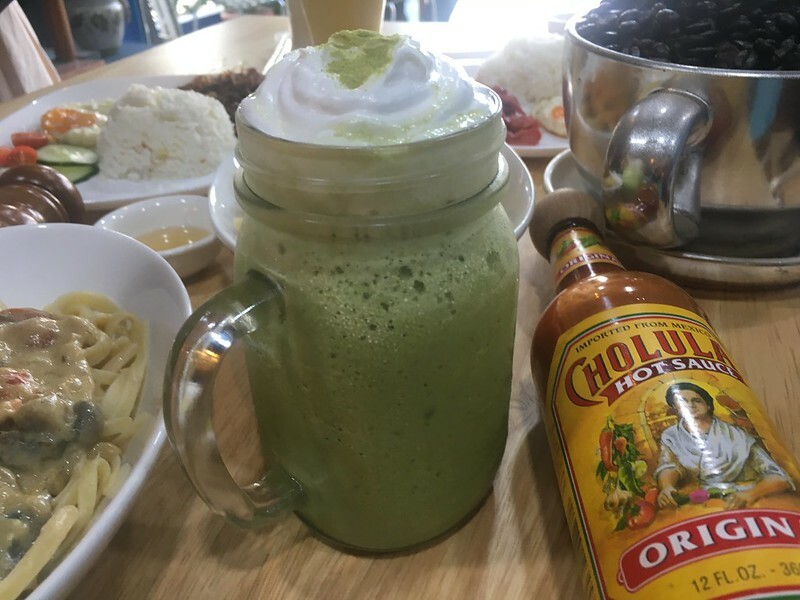 Want something hot to accompany those yummy snacks? 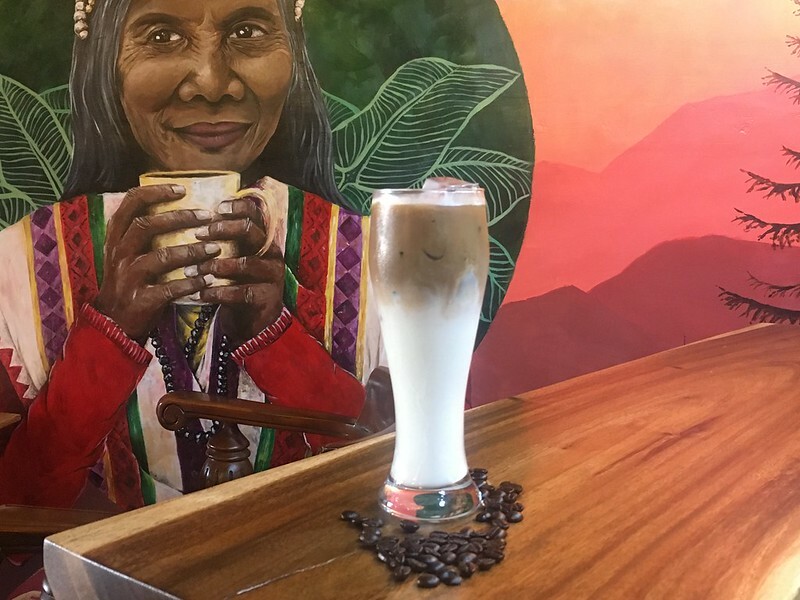 You can’t go wrong with the drinks whipped up by the cafe’s Lebanon-trained barista such as the Hot Chocolate Velvet (Php90), White Chocolate Latte (Php105), Caramel Macchiato (Php105) and Oreo Latte (Php120). 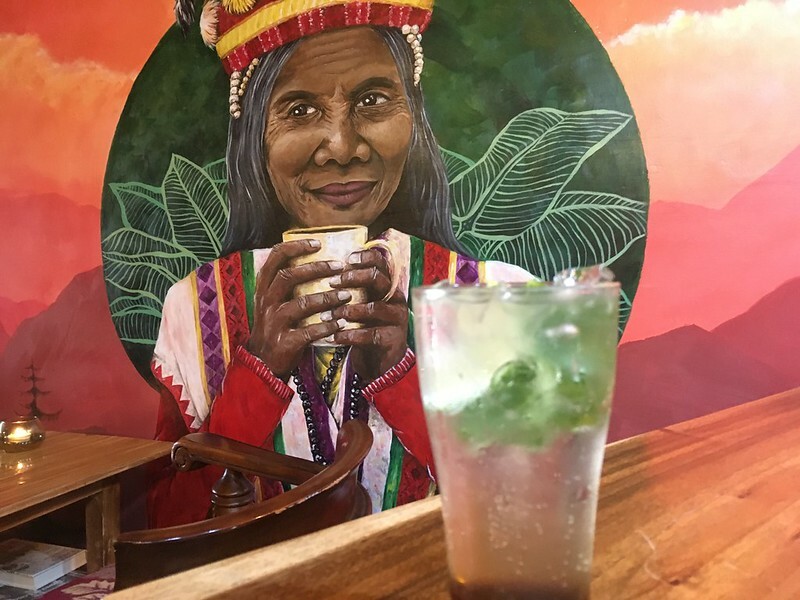 How about something refreshing to cool yourself down when the hot summer days come along? 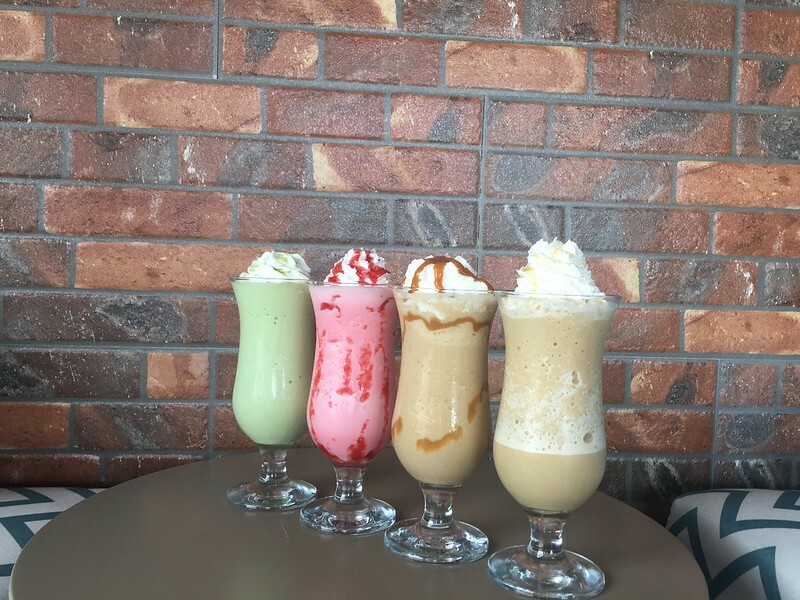 Check out the cafe’s icy frappes such as the Matcha Green Tea (Php140), Strawberries and Cream (Php120) and White Mocha Frappe (Php120). 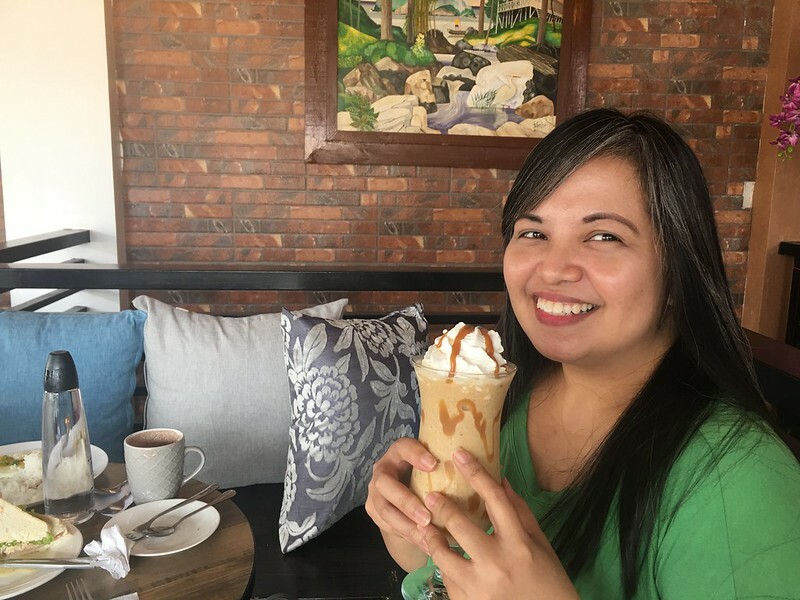 But really, don’t leave the store without a taste of the cafe’s specialty, the Coffee Peanut Butter Avalanche (Php150), truly a heavenly concoction! 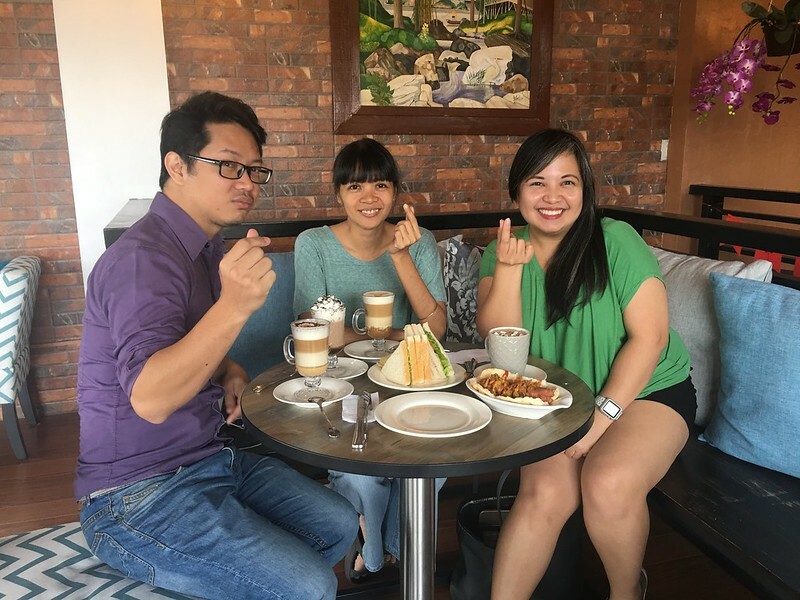 This day was memorable because three friends were able to come together for good conversation over good food and drinks, amidst beautiful surroundings. 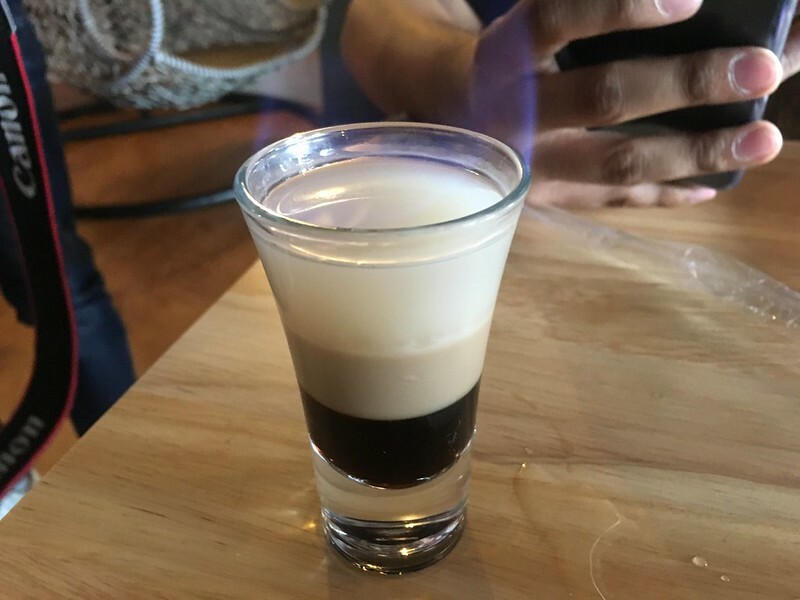 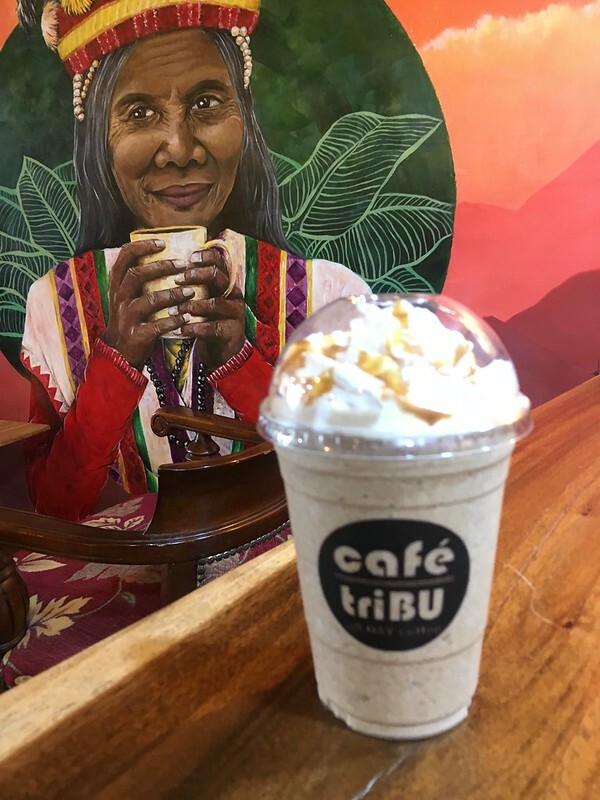 So make your own beautiful memories with family and friends here at Cafe Tribu! 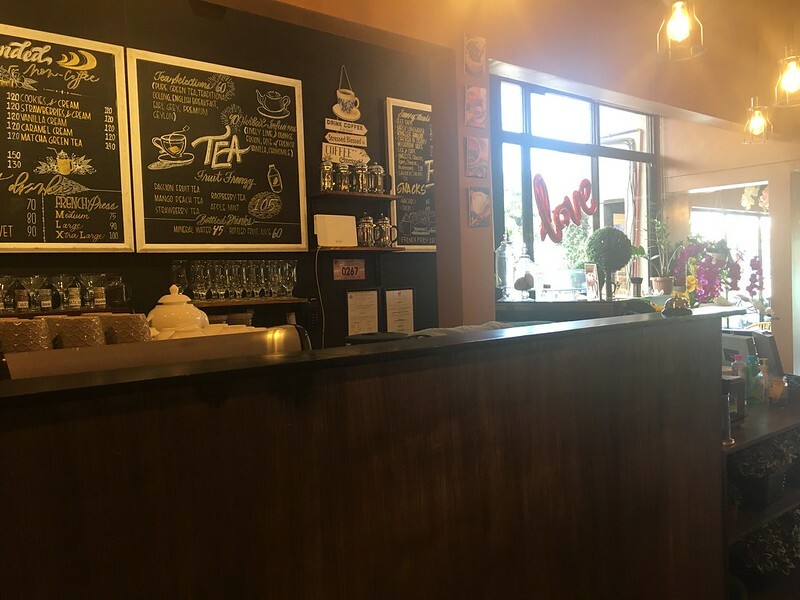 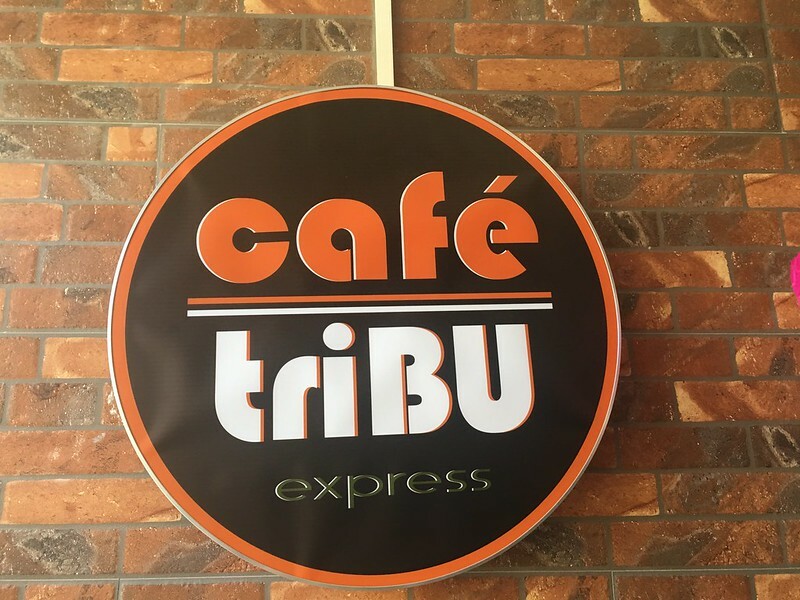 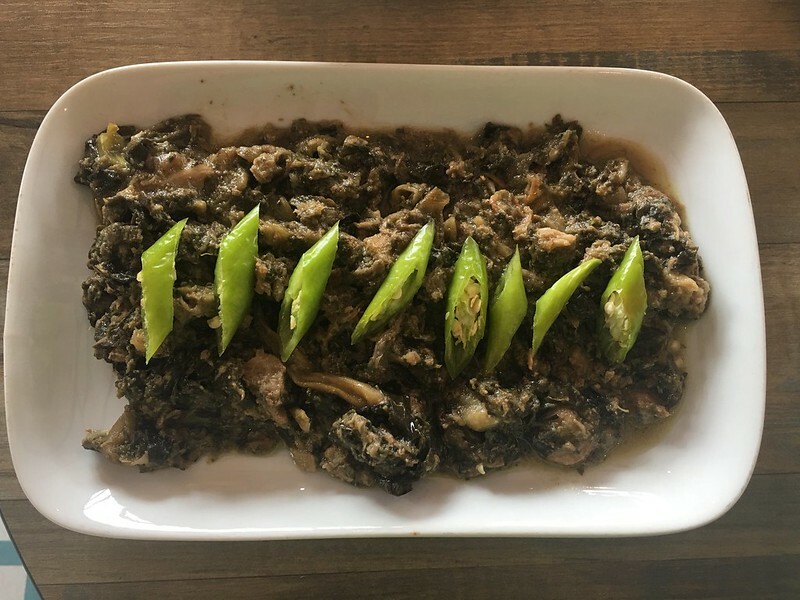 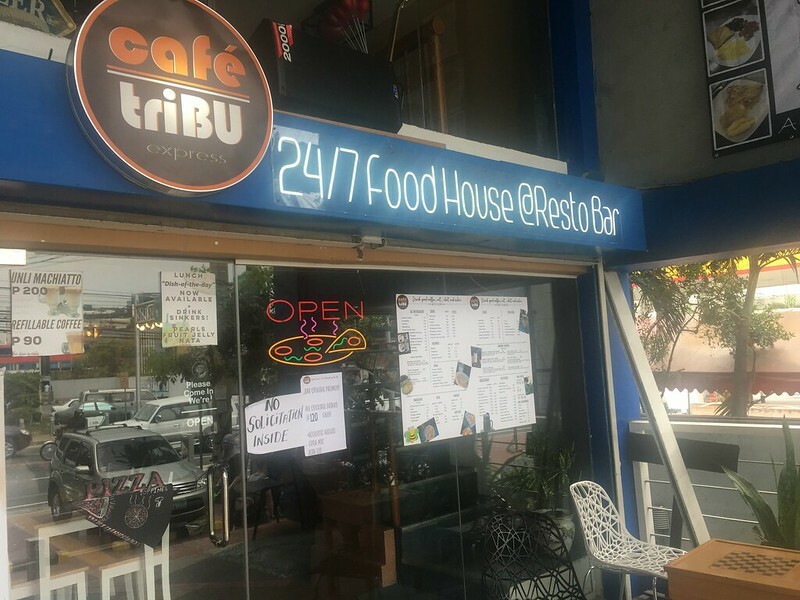 This Cafe Tribu branch is located at 136 Gloria Diaz Street Corner CV Starr Avenue, BF Resort Village, Talon, Las Piñas City. 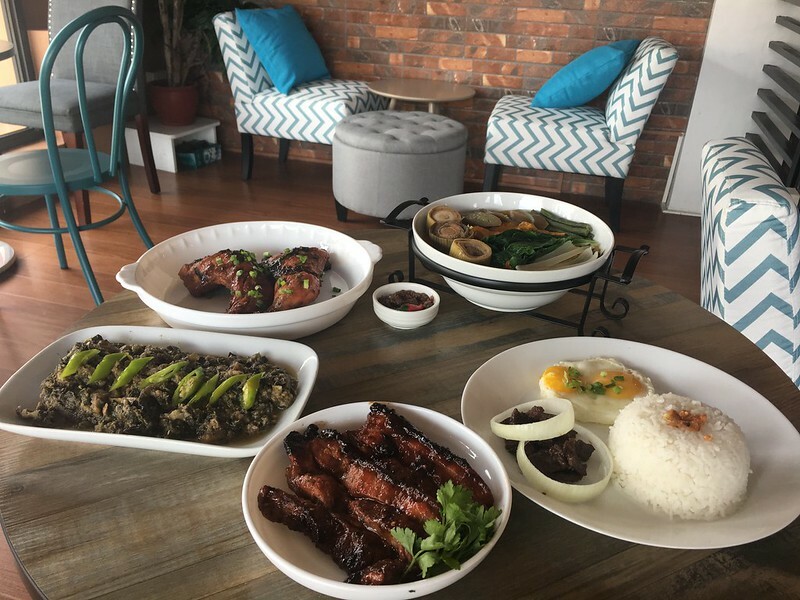 For reservations and inquiries, call +63 2 3563971 or +63 995 2740204. 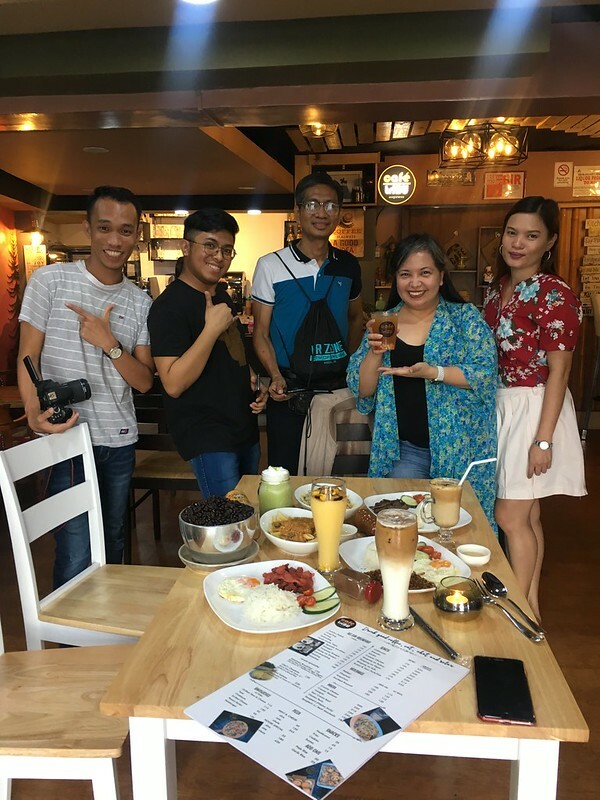 Disclosure: Together with my college friends, I was invited to a food tasting held at this restaurant. 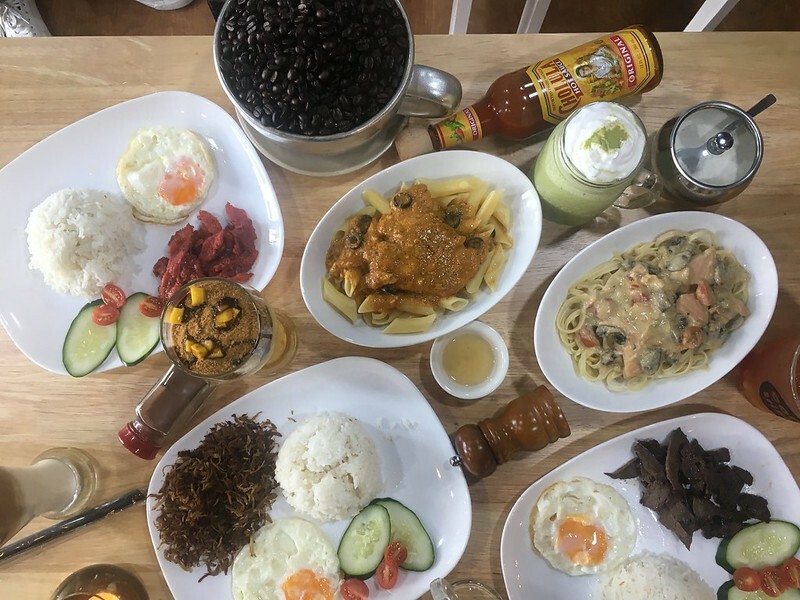 Food items mentioned here were served to allow us to sample the fare and were not paid for by my companions nor myself.